Carefully designed map products for national and state parks, trail organizations, watershed districts, educational centers, retail centers, public areas, and more. Products include folded maps, kiosk maps, interactive online maps, downloadable maps, posters, and museum installations. 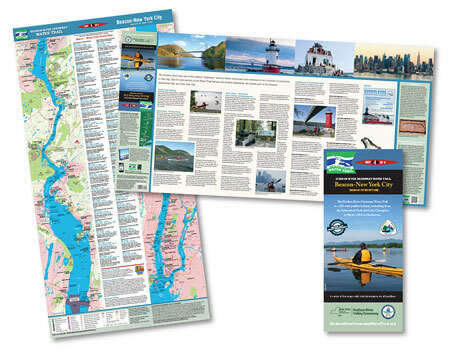 A four map series for paddlers of the Hudson River – from Battery Park in Manhattan of New York City to the headwaters of Lake Champlain and the Adirondack region. 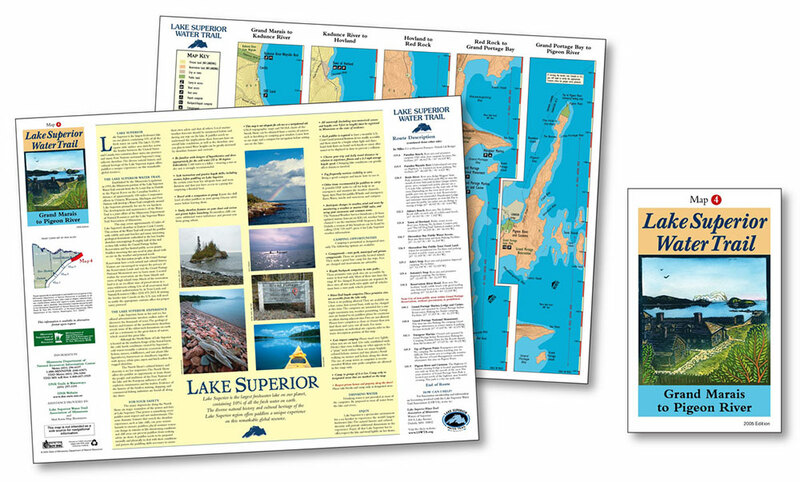 This detailed map series was designed for print and for interactive online viewing. Visit the site! A three map series for day trips along these historic rivers in the Concord area of Massachusetts. 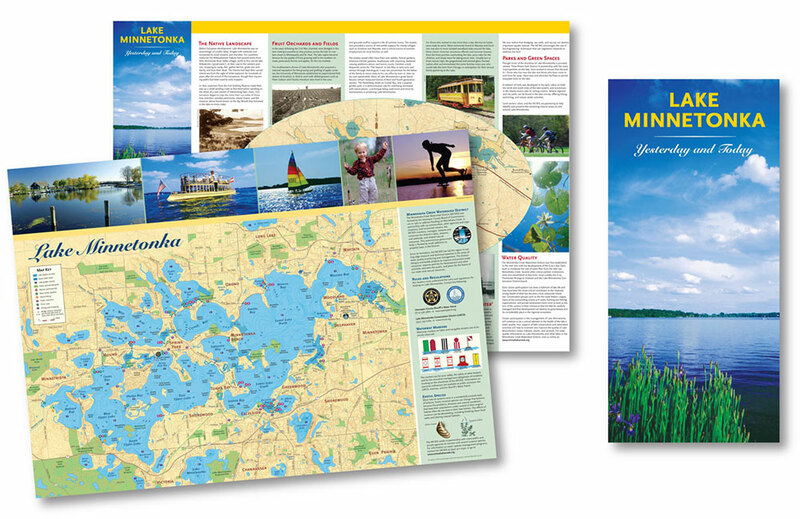 This print series was designed in tandem with an online version that depicts access points and up-to-date information on amenities. Visit the site! This large-scale folded map was designed for an urban canoe and kayak trail. The subject area encompasses a dense urban area with a complex array of public access points along a largely private stretch of rivers. An accurate map was a must! Designed for print and for downloadable viewing. Visit the site! 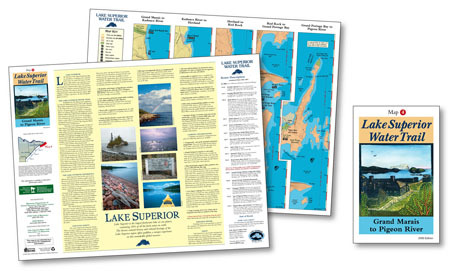 A handy folded map that clearly portrays Wisconsin's Lake Superior coast - an area of intense conservation efforts, significant history, and a marine environment of unique natural beauty. 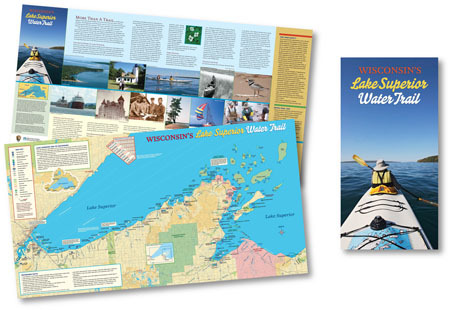 Published jointly by the Inland Sea Society and various supporting agencies, including the National Park Service. Designed for print and for downloadable viewing. Visit the site! "Rolling on the river" takes on an additional meaning thanks to this multi-page booklet about cycling within the Mississippi National River and Recreation Area. 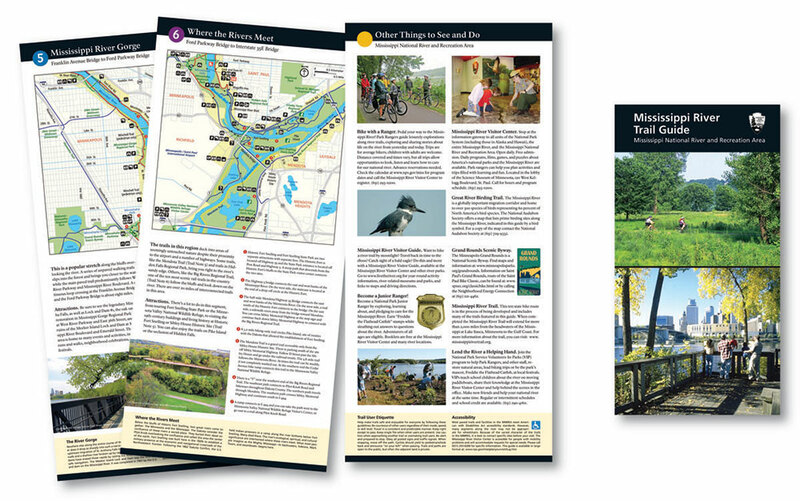 This lightweight, compact trail guide is packed with useful maps and enticing bicycle route descriptions. Lake Minnetonka sprawls appealingly, a popular spot for boating, fishing, and resort-going near the Twin Cities. 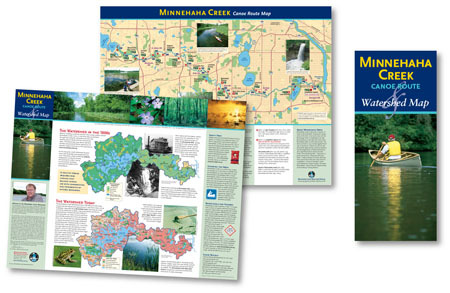 This very popular, large folded map product, designed for the Minnehaha Creek Watershed District, depicts the more than 140 inviting miles of the lake's shore and inlets. 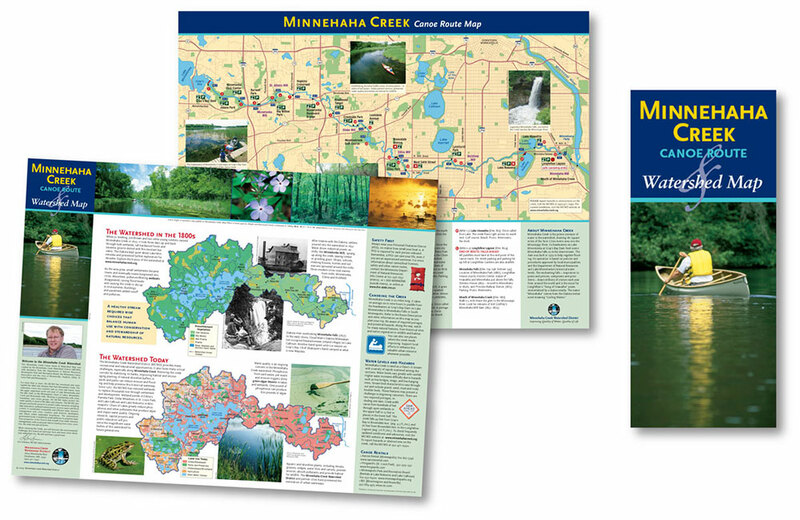 Minnehaha Creek is a splendid canoe route through the heart of Minneapolis. A local watershed district needed a map that would do more than serve recreational users - they needed a way to communicate about issues of water quality, wise development, and preserving critical habitat. This folded map accomplished those goals. The Northern Forest Canoe Trail runs 750 miles through New York, Vermont, New Hampshire, Quebec, and Maine. That's a lot of trail! 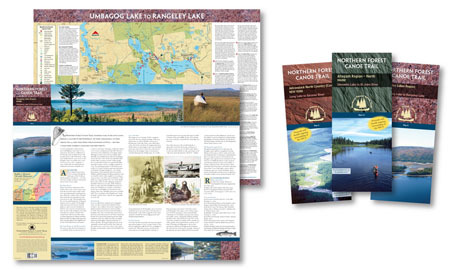 And it required a series of thirteen maps - which have proven popular and essential for canoe travelers. 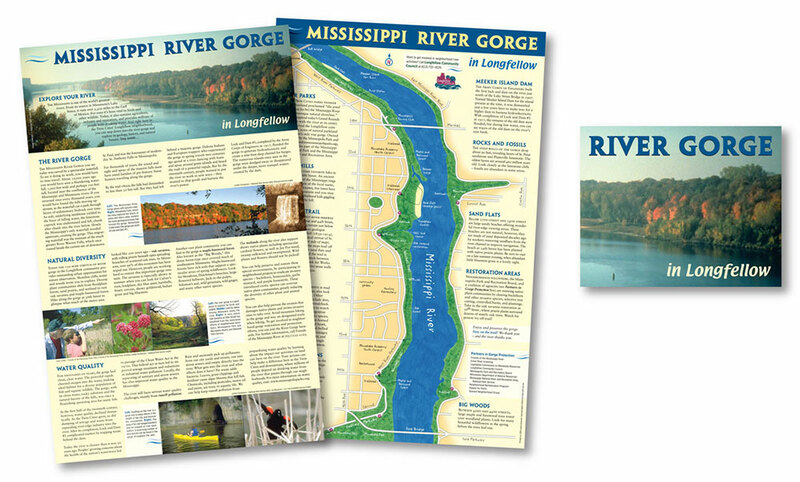 One of the most splendid sections of the Mississippi River, the Gorge is a recreational focal point for residents and visitors to the Twin Cities region. This folded map played a vital role in a community revitalization program. 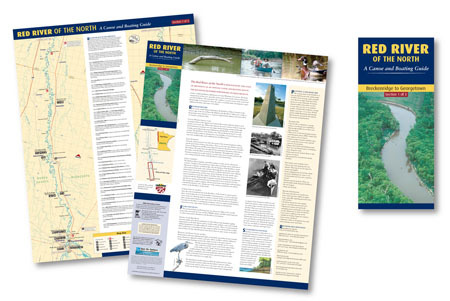 Perhaps one of the greatest meandering rivers in the United States, the Red River has become a popular place to fish, canoe, or simply float on a sunny day. This is a four map series for the river enthusiast. 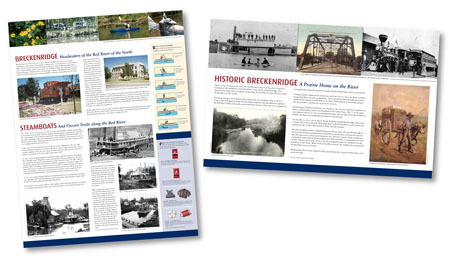 It also offers not only essential paddling information, but historical facts and messages about conservation. 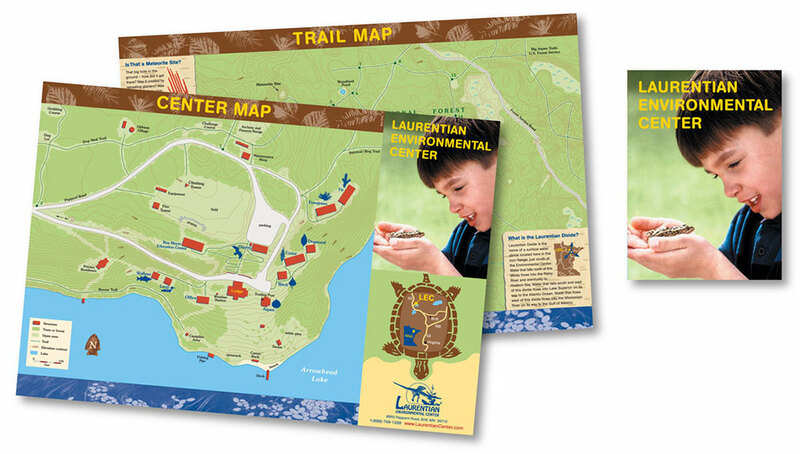 The Laurentian Environmental Center is a gem among outdoor learning centers. Located on the iron range in northern Minnesota, the Center required an engaging and detailed map that would appeal to its young and adult visitors alike. There are many ways to map a subject area. 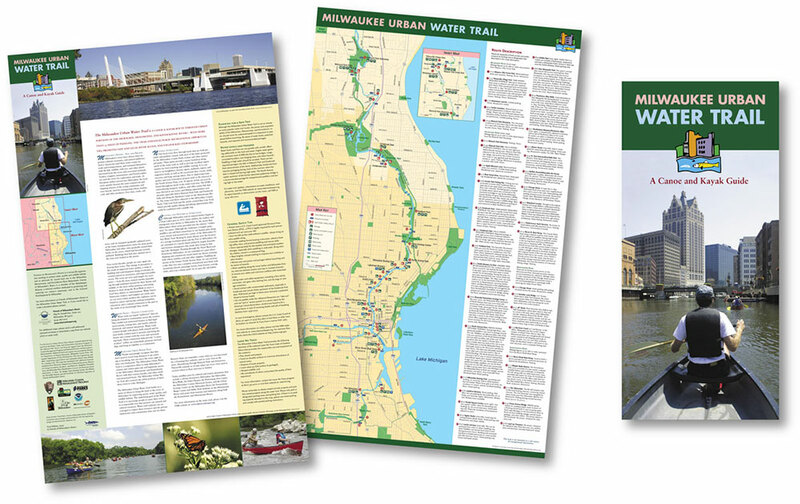 This map is an example of portraying a water trail through a series of linear maps and a detailed route description to guide on-water travelers. They were designed to be handy, pocket-sized maps. Helpful and historic! 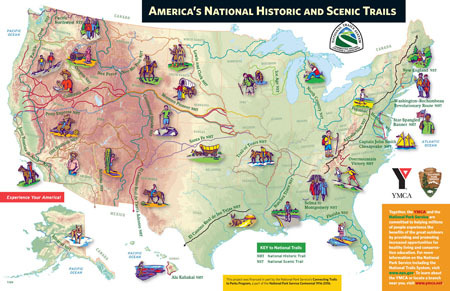 This large fold-out map highlights the national scenic and historic trails across the U.S. - in an informative and illustrative context. 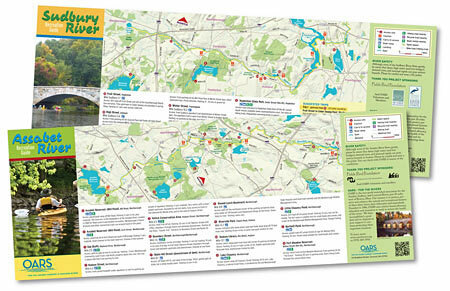 Designed for a collaborative effort between the National Park Service's "Connecting Trails to Parks Program" and the YMCA's promotion of physical fitness, the resulting map was handed out to educators and participants in national and regional trail events across the country. Map Hero also designs kiosks and displays for broader audiences and public viewing. These types of maps can be designed for museums, visitor centers, department stores, corporate headquarters, trail centers, and more.